Coupons valid until November 11, 2018. May redeem multiple coupons per person. Courses available 24/7. Use the redemption code next to the QR code to register for your course. No carry over. VAT included in price. Standard terms & conditions apply. Owning a car is expensive enough with car payments, insurance and gas; wouldn’t it be nice if you no longer had to shell out money for repairs that you could do yourself? 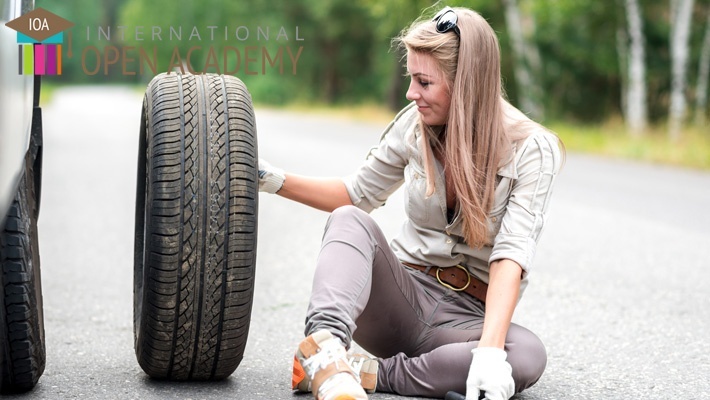 Benefit from 87% off this Online Car Maintenance Course from International Open Academy, only $16 instead of $119. Start taking control of your car, and learn how to keep it looking beautiful and performing flawlessly! IOA is your one-stop shop for professional development, personal growth, and goal fulfillment. They empower students to live the life they love by delivering diverse and easy to use courses right to your screen. From making a career change to exploring new hobbies or interests, they have courses to tackle a wide spectrum of life’s challenges. Courses Include; Animal Science & Care, Beauty & Fashion, Business & Careers, Computing & IT, Criminology, Event Management, Health, Hobbies, Hospitality, Interior Design, Languages, Life Skills, Photography, Special Needs, Sport, Teaching, Writing & Media Skills.